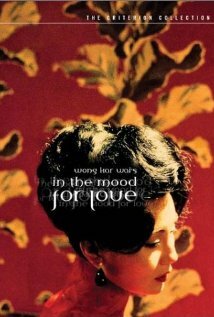 In the Mood for Love is the second part of Hong-Kong-based director Wong Kar-wai’s trilogy, along with Days of Being Wild and 2046. The three films is a reflection on time, memory and relationships.The film takes us to Hong Kong in the early 1960’s, when two neighbors move into a very busy building. Mrs. Chan and Mr. Chow start a friendly relationship, which becomes increasingly intimate when they discover that their respective spouses are cheating on them, actually with each other. The shared pain of unfaithfulness brings the two forlorn hearts closer and a unique bond of love blossoms between them. The film while dealing with an extramarital relationship never leaves you with the impression that the duo indulges in the same wrongdoing that their respective spouses are charged with. Taking a sensitive topic such as marital infidelity and making a poetic love story out of that is not an easy feat for any director. The film is filled with close-up shots, voyeuristic camera movements, minimal usage of lighting, and use of shadows and reflections that accentuate the tiny details of daily life of the two protagonists and thus intensify the romantic moments. The film features one of the most routine scenes about lovers: two lovers in a slow motion, but these scenes are infused with so much artistry with a nuanced sense of music that they end up creating long-lasting impressions in the viewers' mind. The shots of narrow corridors, streets, and staircases highlight a sense of secrecy and confidentiality of the characters, and at the same time underscore the agony of alienation of the characters. The plot is developed aesthetically and is aurally supported by the repetition of the sublime theme song. This music and the visual rhythms of the film force us to feel the unspoken desires of a couple yearning to be together. Mrs. Chan is shot like a great painter. The audience sees her the way she is viewed by her neighbor. She manages to combine the feeling of a betrayed, lonely, and subtly sensual woman. Dialogue is relegated to a trivial role and is replaced by suggestive body languages, eye contacts, and delicate breathing. This is the language that reveals the couple’s inner thoughts. The respective spouses are always distanced from the viewer to stress the distance between the protagonists and their spouses. The film ultimately leaves us with questions like would the cheated couple engage in an affair with each other and become a double of their spouses? This is for us to wonder. Wong Kar-wai merges a simple and potentially scandalous story with an artist's mind, and thus creates a masterpiece of cinema in the process. 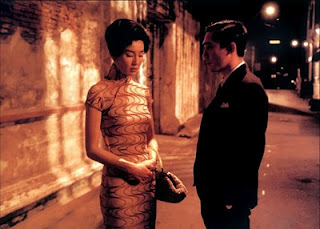 In the Mood For Love elevates a simple love story to an exceptional aesthetic altitude that goes far beyond a familiar plot of relational complexity. This stylized romantic film addresses relationships from a measured distance, but a distance that can only be created by a true artist.